Abstract—Web Services have became the key part in the software development rapidly. There are many web services to ready available. The problem is lacks of the method that leads to guideline compose these web services to be successful. Web services composition was referred from different web services in a business application using an engine tools for composition. Each web services composition is wrapped to WSDL to deploy on system. When web services composition can be invoked by user request and recorded each service usage into services execution logs. The execution logs will be recorded success of fail execution of web services composition. The objective of this paper purposed a framework that can guide new patterns of web services for composition using information of exist WSDL and execution logs. Its outcome was collected the results that web services have composed successful or fails. Execution logs are employed to construct data mining model using mining association rules technique to guide how to select web service for composition from frequent of set of services successful. Mining association rules help to extract patterns of the relationship between each web services automatically. Index Terms—Web services composition, WSDL, executionlogs, data mining, mining association rule. Tossapol Ritcharoenwattu is with Computer Center at Rajaphat Mahasakham University, Mahasakham, Thailand. (e-mail:cross1308@windowslive.com). Wararat Rungworawut is with Department of Computer Science, KhonKaen University, Khon Kaen, Thailand. (e-mail: wararat@kku.ac.th). 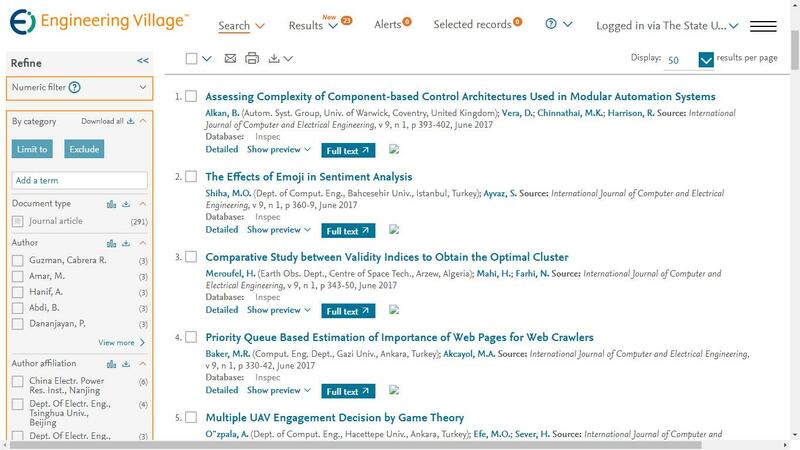 Cite: Tossapol Ritcharoenwattu and Wararat Rungworawut, "New Patterns Discovery for Web Services Composition from Mining Execution Logs," International Journal of Computer and Electrical Engineering vol. 5, no. 1, pp. 88-92, 2013.